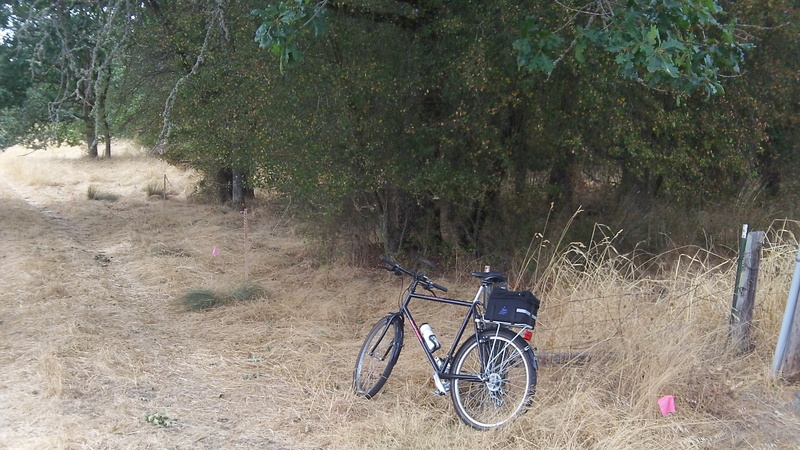 Near the southeast corner of a wooded parcel Benton County will acquire off Crocker Lane. Benton County residents are getting a prime piece of wooded park land in North Albany as part of a deal to develop an adjacent subdivision and repave the northern end of Crocker Lane. As a result a grove of big old oaks and other stately trees near the corner of Crocker Lane and Valley View Drive will be preserved, as it should be. The deal among the city of Albany, developer Myles Breadner and Benton County was worked out in the spring, and the Albany City Council this week approved an agreement to nail down the details. Among the details is that homeowners in the already developed 58-lot North Creek Subdivision west of Crocker won’t have to pay any assessments for the Crocker paving job. The city agreed to cap the assessments at $1,000 per lot, and Breadner will pay that $58,000. His company is planning an 82-lot subdivision north of North Creek, and for that the Crocker assessment will be fixed at $400,000. Also as part of the arrangement, Benton County has an option to buy, for one dollar, two parcels of the Breadner acreage totaling just under 13 acres and including the 10.7-acre wooded parcel. Because it will then own part of the frontage on Crocker, Benton County has agreed to pay $125,000 as its share of the city paving assessment, according to Jeff Powers, the head of the county parks department. The plan is to connect the new county acreage to North Albany County Park with a trail but to leave it mostly undeveloped otherwise. A look at the acreage shows why preserving this wooded hillside is important. It’s a piece of seemingly unchanged nature at the edge of a more and more densely populated part of town. I assumed you had made that spelling pun on purpose Hasso. I’ll simply continue to think so.